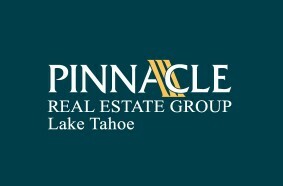 Pinnacle Pinnacle Real Estate Group, Inc. is a full-service Lake Tahoe real estate company. Our Tahoe company is a broker co-op comprised of well-respected and experienced professionals. Our Tahoe real estate agents are among Lake Tahoe’s top producers representing an established percentage of the area’s market share of closed sales throughout South Lake Tahoe. This success reflects on the quality, perseverance and innovation of our agents providing them the opportunity to remain leaders in the real estate industry. Previous to forming the Pinnacle Real Estate Group of Lake Tahoe, Inc. the Souers & Benedict teams, owners/founders, earned national levels of recognition for both production and quality of service with one of the country’s most recognized real estate franchises. Their extended networks are far reaching and long-lasting. Perhaps most importantly, the associates of the Pinnacle Real Estate Group of Lake Tahoe have earned numerous awards and recognition representing years of superior client satisfaction and sales performance.